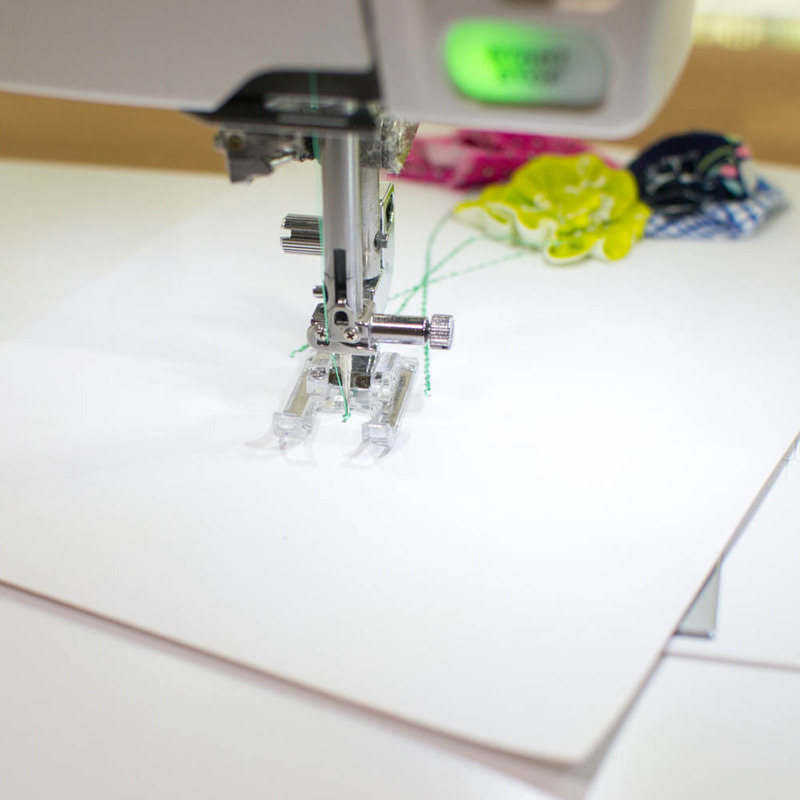 Don't you love it when you can show off your sewing skills to your card making friends? 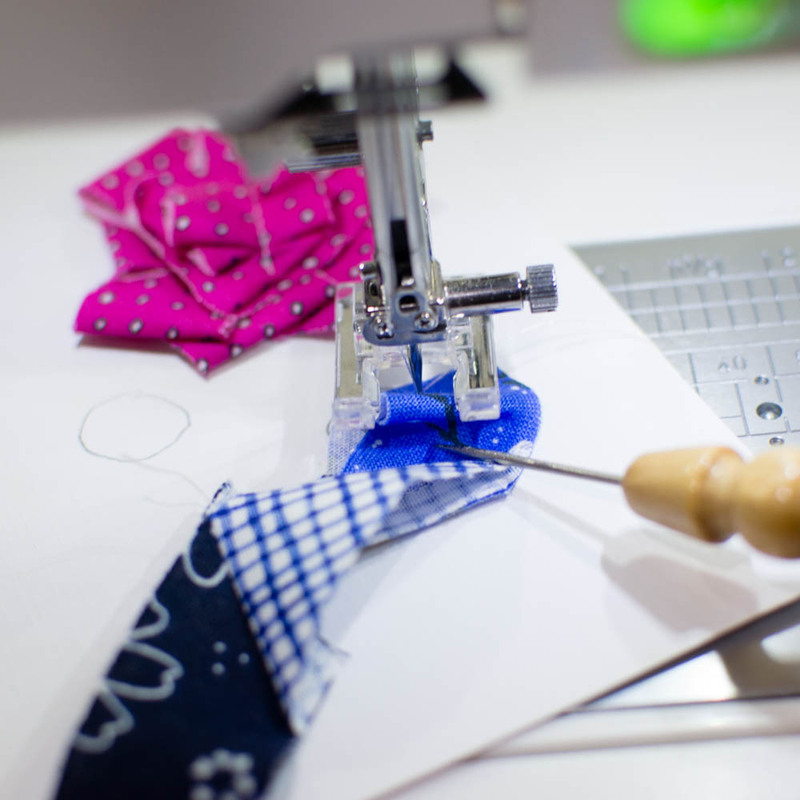 Or if you are a card maker, I'm going to show you some new tricks that will get you sewing too! This year I decided to sew Mother's Day cards instead of buying them. They turned out amazing! You can use fabric scraps to sew your cards like I did - or ribbon would be really cute and easy too. In this DIY tutorial, I'm going to show you 3 simple techniques, or different ways to sew the flowers. Feel free to use your favorite technique or mix up all 3! fabric scraps cut into 12''-20'' long strips that are 1/2'' - 1'' wide. 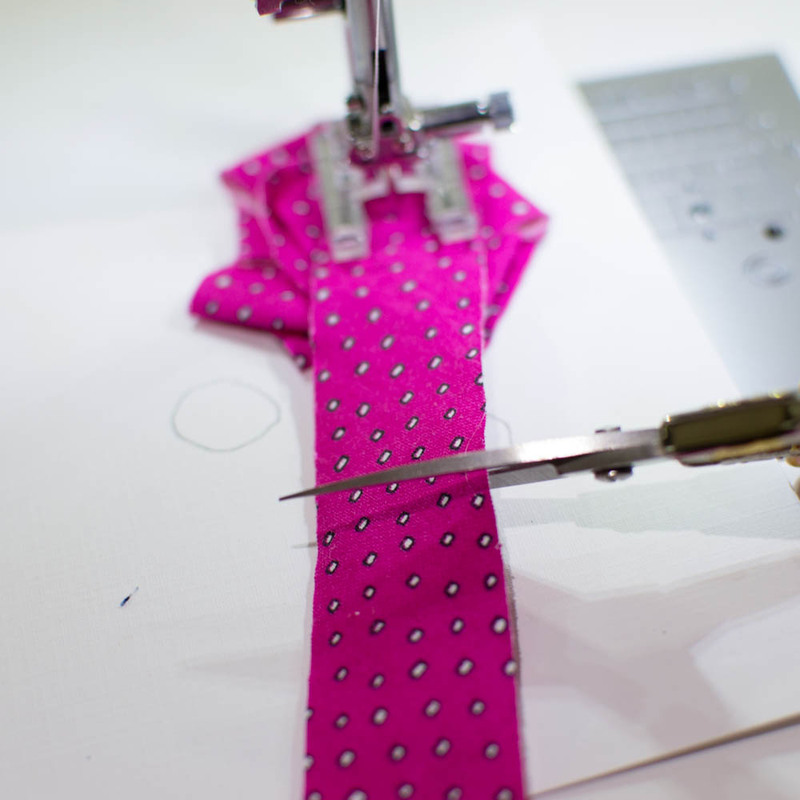 Or 1/2'' - 1'' wide ribbon. I also found it helpful to put the open toed foot on my sewing machine (to better see what I was doing) and I used my stiletto for pushing the fabric strips. These items are optional, but useful. Note: sewing on paper dulls your sewing machine needle. So I just used the needle that I already had in my machine and threw it away after this project. 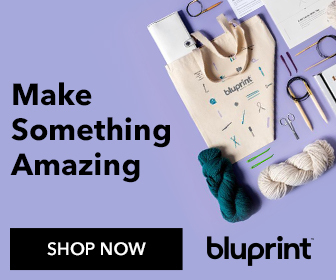 Start with a piece of cardstock that is larger than your card to give you freedom to be creative (aka mess up, lol!). Use a pencil to draw some circles where you want the flowers to be. The circles are where you will be sewing, so the flowers will end up larger than that. Choose your first fabric strip, turn the end under, and lay it over the line for one of the circles. 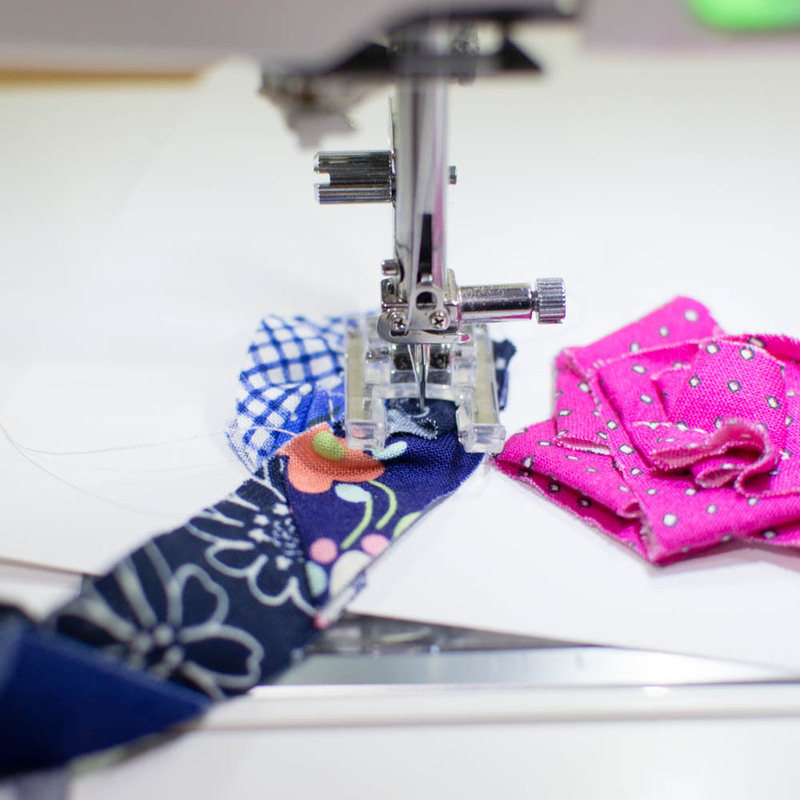 Put your sewing machine down and sew 1 or 2 stitches. Try to sew on top of the drawn circle even though you can't see it. After sewing a couple stitches, lift the presser foot. Fold the fabric over to the right. Then fold it back to the left so you can see the right side again and there is a small 1/4'' - 1/2'' fold. Sew over the fold for a few more stitches, starting to turn so you are tracing the circle under the fabric. It's not crucial that you follow the circle exactly, but you'll want to erase any pencil marks that are still showing later. 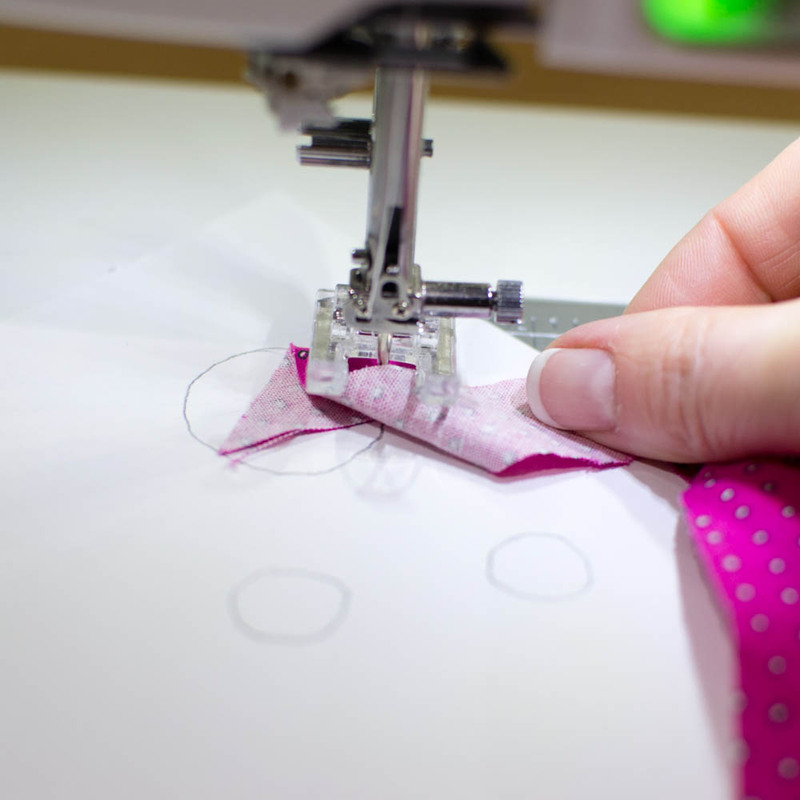 Continue lifting the presser foot, making a little fold, and then sewing over it, as you work your way around the circle. 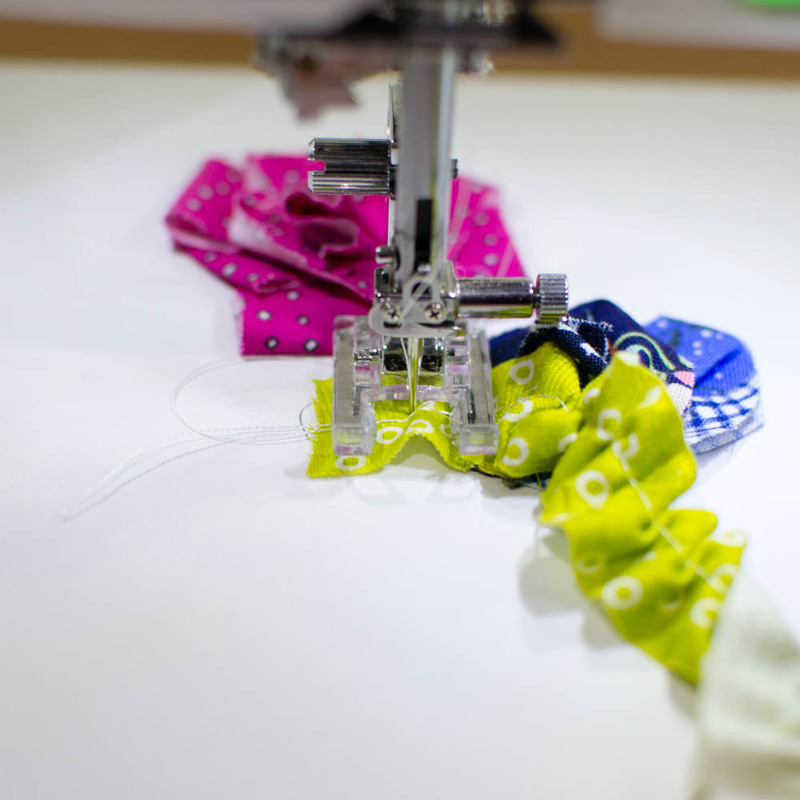 When you are all the way around you can either stop (if it's a small flower) or if it's a large flower, go ahead and sew another smaller round of folds inside the first round. When your flower looks like it's filled in enough, cut the strip about 1'' - 2'' away from the needle. Fold the raw edge at the end under, and push the strip into a bunch of folds at the center of the flower. Then stitch over the folds and backstitch a little to secure the flower. So cute! I sewed this flower over a smaller circle, but a large or small circle will work great. I am also using a long skinny patchwork scrap that I created when I was sewing one of my Glitter Quilts. 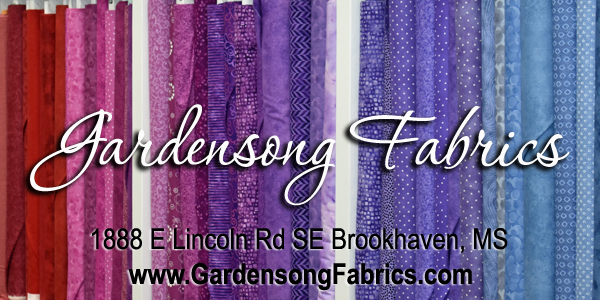 As before, any fabric or ribbon strip will be fine. Sew a few stitches over the folds. Lift the presser foot, push some fabric under, sew a few stitches around the circle, lift the foot and push some fabric under, sew a little... until your flower looks full. Then cut the strip and push the remainder under the foot in small folds. Sew over the folds and backstitch. This flower technique is very similar to #2, except the strip will be gathered first so the flower is really ruffly. 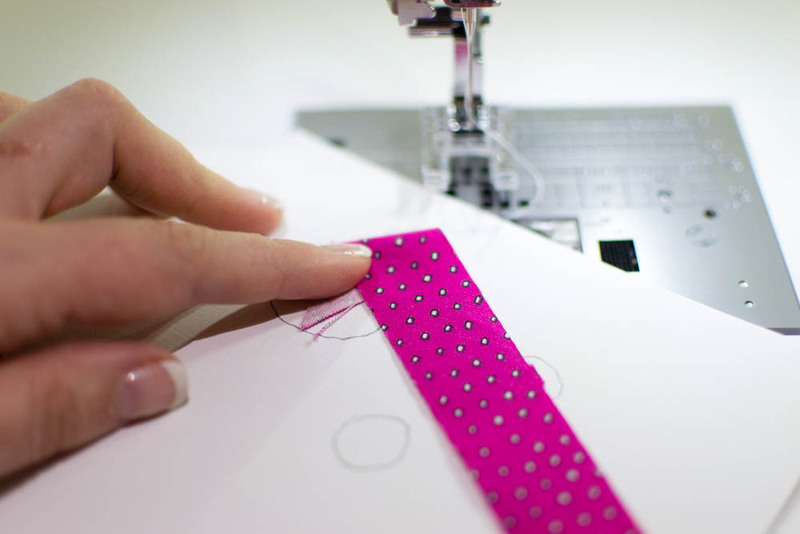 Sew right down the middle of your fabric strip or ribbon using the longest stitch length on your sewing machine. Take the strip out. Pull the bobbin thread on one end to make the strip gathered. Then cut the strip an inch or two away from the needle and finish as before. Tip: If you run out of fabric before your flower is finished (using any of these flower techniques), simply add another fabric strip on top. This is a great way to add a new color to your flower. So here are my 3 flowers. Now I need stems. 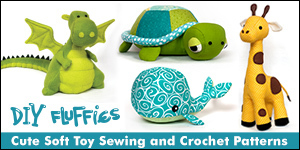 Switch to green thread (embroidery thread looks best). 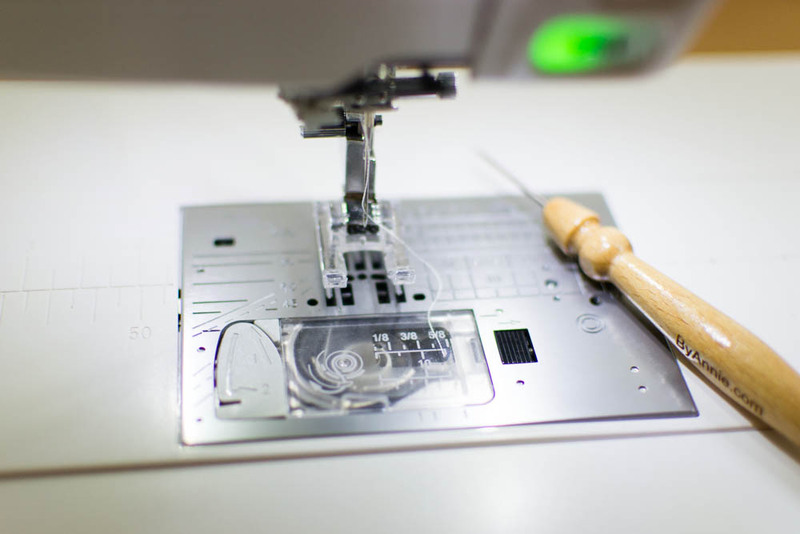 I also like to use the 'bean stitch' on my sewing machine. It's the one that goes back and over the stitch again so each stitch has three layers of thread. Push back the fabric under one of the flower heads and place it under the presser foot so the stem will appear to come from under the flower. Sew downward in a curving line. Then go back and sew stems for the other flower heads. 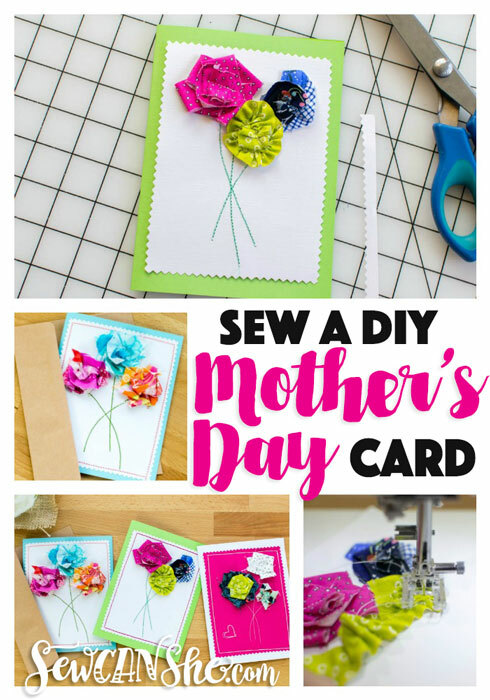 Cut your flower picture out using pinking shears so that it fits your blank or homemade card. Attach the design to the card with a little bit of glue from a glue stick. 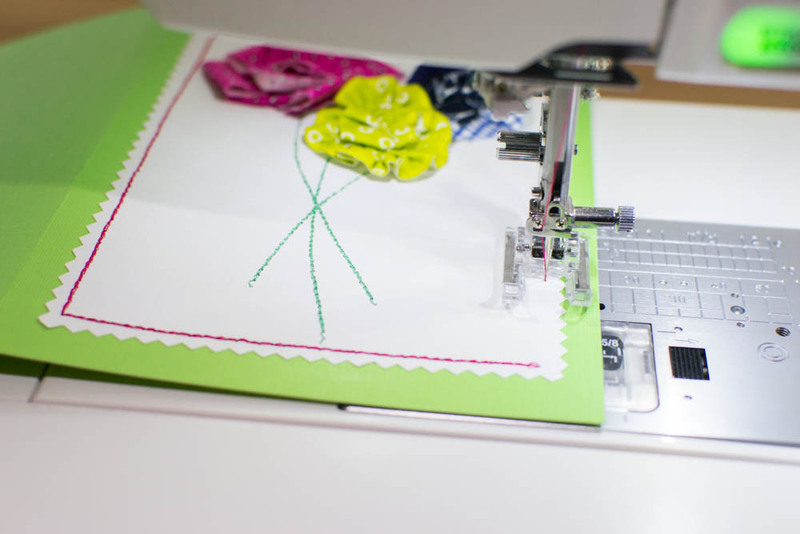 Now put a third color of thread in your sewing machine (if you want) and attach the pretty flower design to the card. This part will show on the inside of the card, so I didn't want to get too fancy. I just used my bean stitch again to sew around. 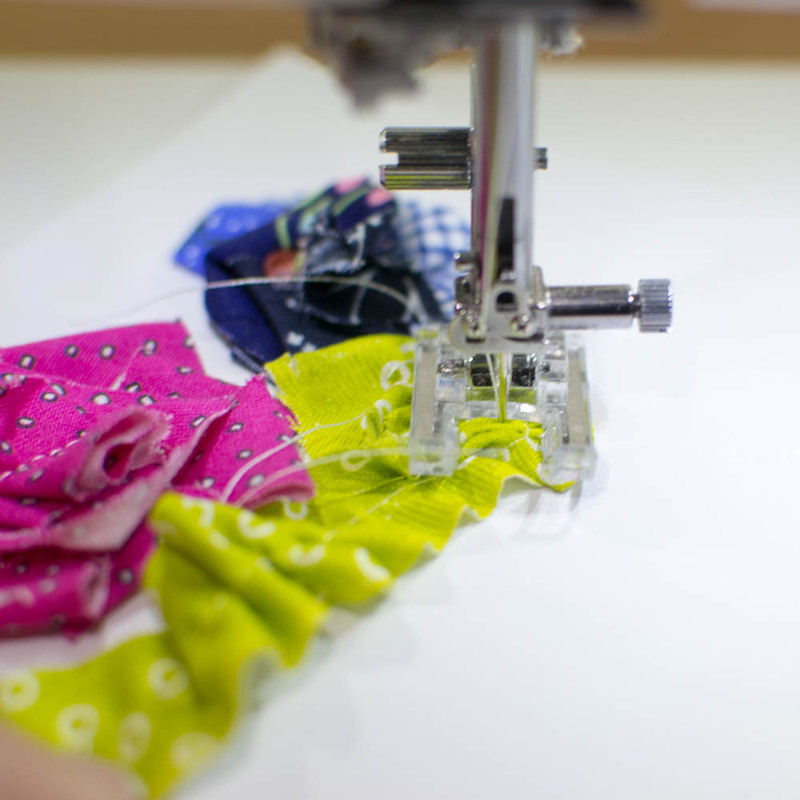 Now you can make boutique handmade cards with fabric scraps and your sewing machine - and not just for Mother's Day!